Welcome to the Putney Reflexology website. 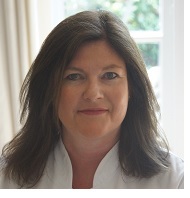 Alison Burn, MAR is a reflexologist who practises in Putney and the south-west London area. Alison qualified from the highly esteemed Maureen Burgess School of Reflexology at St. Mary’s Hospital in Roehampton, SW London, over 14 years ago. She is a full member of the Association of Reflexologists. She passionately believes that reflexology treats the whole person, holistically and supports and promotes well-being on all levels. Reflexologists work holistically with their clients and aim to work alongside conventional healthcare to promote better health. We do not claim to be a “cure-all” and cannot diagnose or prescribe. Reflexology has the capability of bringing about a state of deep relaxation. When the body is relaxed and stress is reduced the body works more effectively. With ever increasing levels of stress in everyday life, it is important for people to take more responsibility for their own healthcare needs. Reflexology may be one of the ways to mitigate the stresses of modern life. Read more. If you have never tried reflexology before, it may be a daunting experience. Reflexology is a very individual treatment, tailored to each client's needs so that the "whole person" is being treated; taking in to account both physical and non-physical factors that might be affecting your well-being. Read more here. Alison practises reflexology at several locations in Putney, Roehampton and Kew. She also offers a home visit service, as well as treatments at her home practice in Putney (she is unable to treat men unless they are referred by an existing client). She is also available for group bookings, on-site corporate functions and pamper parties. For more information, visit the services and prices page. I was having difficulties conceiving my third child a few years ago when I went to Ali for some reflexology and I became pregnant within 2 sessions. I have been back many times for various reasons especially stress and have found her treatments highly effective and wonderfully relaxing every time. For more information or appointments, please complete and submit the form below. Putney Reflexology with Alison Burn, MAR. Offering reflexology services in Putney and Roehampton (SW15), Barnes (SW13), Wandsworth, Wimbledon and Southfields (SW18 & SW19), Fulham and Parsons Green (SW6), Hammersmith (W6), Chiswick (W4), Kew (TW9) and Mortlake and East Sheen (SW14) and other areas of south-west London.